Moody’s follows S&P and Fitch in upgrading the Philippines’ credit rating as the economy continues to impress. 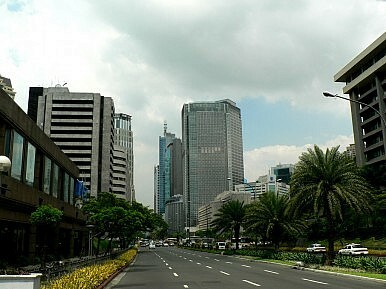 Since then, strong GDP figures for the first quarter and a China-matching 7.5% for the second came out of Manila, but celebrations were tempered somewhat by worries that the “risk off” behaviour of markets in the atmosphere of paranoia surrounding the Fed’s taper would eventually affect the country. Throughout the summer the third upgrade failed to materialize, and as autumn came along, many were wondering why Moody’s had still not adjusted the country’s rating despite a review that began back in July. Then today, Moody’s finally announced that it had raised its rating on Philippine government debt to Baa3 (an investment grade), citing “…1) robust economic performance; 2) ongoing fiscal and debt consolidation; and 3) political stability and improved governance. The same announcement also noted that the country has not been affected by the “recent volatility” in emerging markets. Not surprisingly, the ratings upgrade and positive language of the announcement boosted financial markets. The peso surged to 43.08 to the USD, while the Philippine Stock Exchange climbed, and yields on Manila’ sovereign debt fell. Markets continue to be impressed by the performance of the government of President Aquino, which has continued to improve the country’s outlook. Tax increases on tobacco and liquor helped the government to cut its budget deficit, despite simultaneously raising spending. Meanwhile inflation was at a four-year low in August. Very little seems to stand in the way of Aquino’s plans for infrastructure spending next year. Such investors might well decide that the Philippines, with its trio of investment grade ratings combined with strong underlying conditions, is a good place to consider. The ratings agency has ramped up the pressure on the already beleaguered economic authorities to act on growth. Investors Fret as Duterte’s Popularity SlumpsChina’s Cooling Economy is a Warning for ASEANWhy is China Building its Own Domestic Credit Ratings Architecture?Chinese Stocks: Short-Term Pain for Long-Term Gain?Asia’s Emerging Markets: From Bust To Boom?